Here’s your chance to have a blast and test your Taekwondo skills! 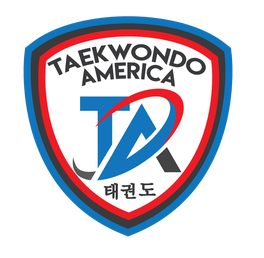 Taekwondo America students will travel from all over the country to compete in this National Tournament! And this opportunity only comes twice a year, so don’t miss out on the fun! The times listed in the schedule below are estimates and will vary depending on the number of competitors. Competition should take between 60 to 90 minutes. A more accurate time will be given the week of the tournament. Students testing for the rank of 3rd Degree Black Belt or higher. Any registrations received after this date will not be accepted and the student will not be eligible for testing. The only way to guarantee that you’ll get your hands on this limited edition Tournament T-Shirt is now during Pre-orders! Shirts will sometimes be sold on the day of the tournament, but often sell out fast! Pre-ordered shirts are only $20! T-Shirts will be $25 on the day of the tournament.